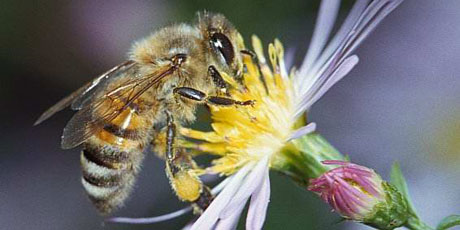 Avaaz - BAYER: Save the Bees! We call on you to vote to stop production and sale of neonicotinoid pesticides until and unless new independent scientific studies prove they are safe. The catastrophic demise of bee colonies could put our whole food chain in danger. If you act urgently with precaution now, we could save bees from extinction. Four European countries have begun banning these poisons, and some bee populations are already recovering. But Bayer, the largest producer of neonicotinoids, has lobbied hard to keep them on the market. Now, massive global pressure from Avaaz and others has forced them to consider the facts, and in 24 hours, Bayer shareholders will vote on a motion that could stop these toxic chemicals. Let's all act now and shame the shareholders to stop killing bees. The pressure is working, and this is our best chance to save the bees. Sign the urgent petition and send this to everyone -- let's reach half a million signers and deliver it directly to shareholders tomorrow in Germany!